Any team administrator can update these settings by clicking on your user dropdown, and selecting "team settings." 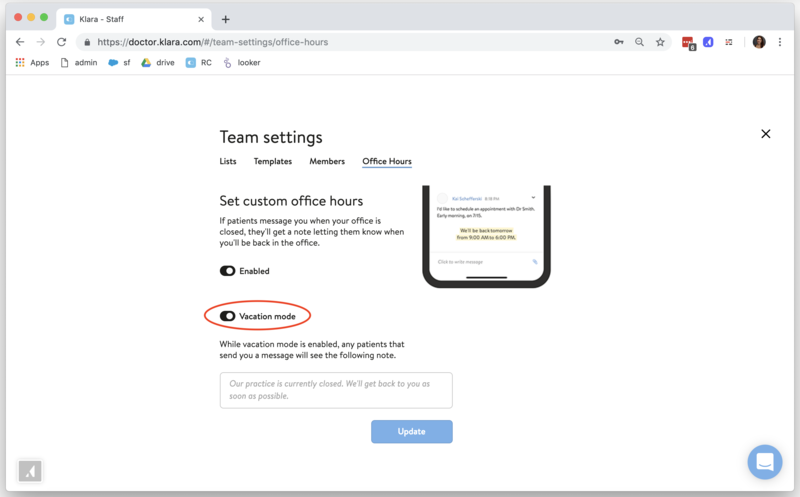 Then, select the "Office Hours" tab, to access these settings. Turn this feature on by toggling to "Enabled." 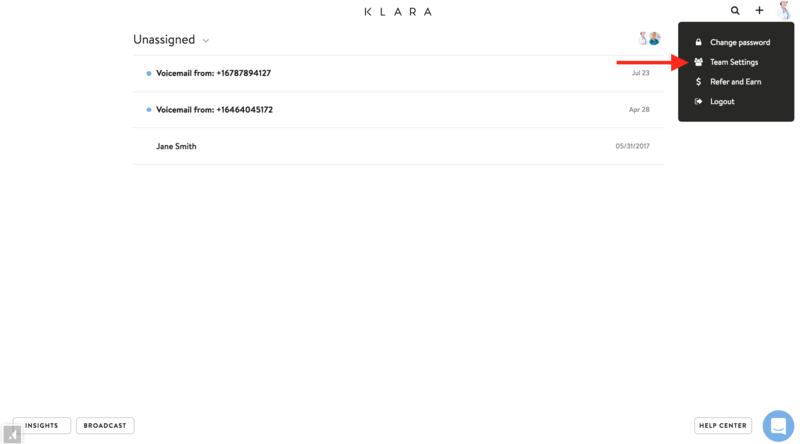 From there, you can customize the opening and closing hours by day , along with the timezone of your office. What Does This Look Like to the Patient? 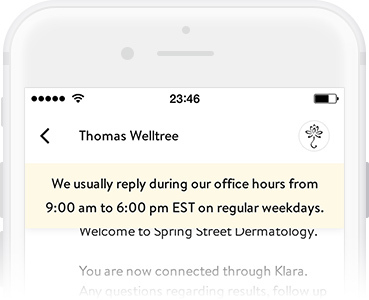 Every patient that sends a message outside of the set office hours will see a banner after they send their message, with your usual hours displayed. What happens when your office is closed for a holiday or vacation? 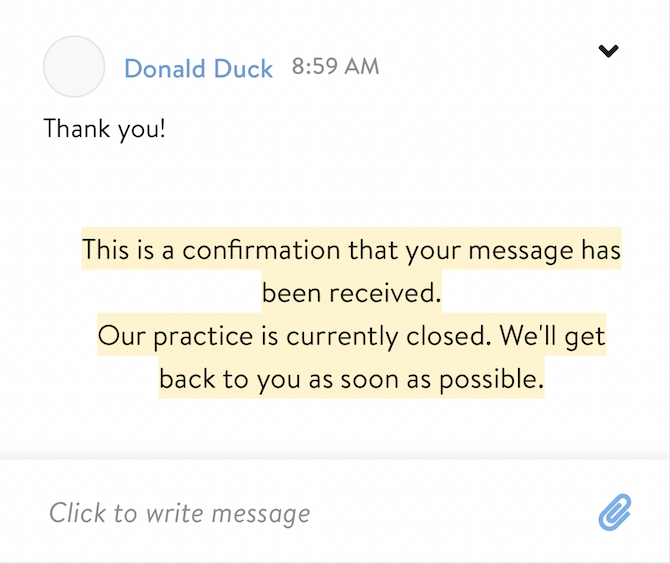 In these cases, you can enable our Vacation Mode feature — allowing you to set a custom message letting patients know that you are closed, and when they can expect a response. Once the feature is enabled, you can customize your message in the text box that appears, and hit save. When vacation mode is enabled, patients will receive an autoreply as shown below.